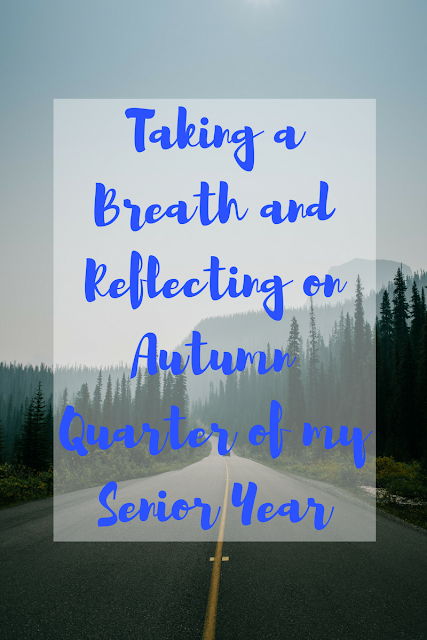 It is the end of August, and I am already looking forward to fall. 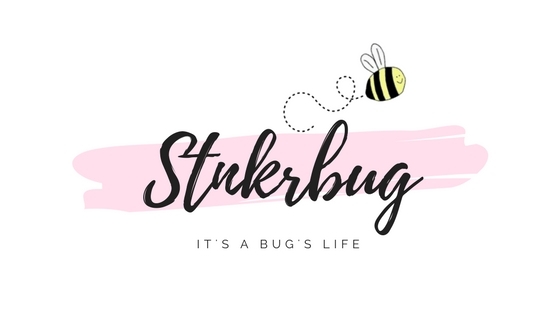 Crisp, cool mornings, pumpkin everything, huge sweaters, crocheting scarves for winter, Halloween...I could seriously go on and on! I grew up with a mother who absolutely lives for the fall, and as I get older I find that I fall in love with fall (ha ha ha get it) more and more each year. It's the start of the two coziest seasons, and I love watching all of the leaves turn towards the more golden side of the color spectrum. 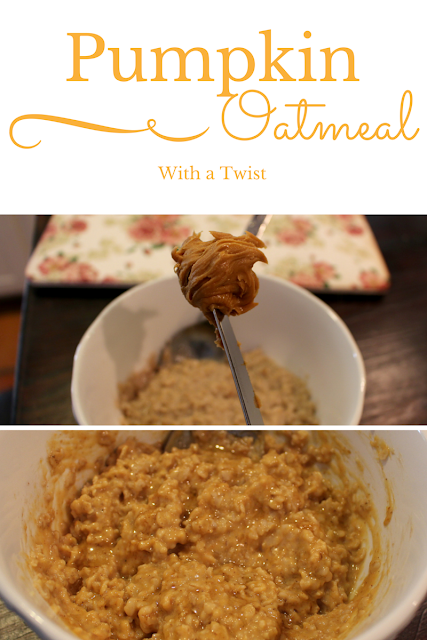 Since I'm so very excited for the fall, I decided to make pumpkin oatmeal! I love pumpkin pie, so I thought it would be fun to experiment with pumpkin oatmeal! 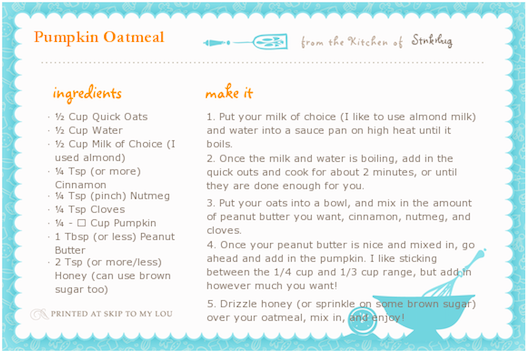 I'm always looking for ways to spice up my morning oatmeal, since I tend to get bored with the oats pretty quickly. After a couple of tries, I have found the perfect recipe, and the secret ingredient that ties it all together: peanut butter! 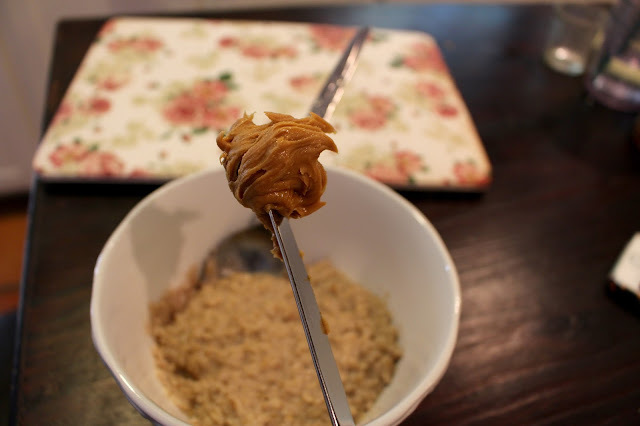 I know you're thinking that I just added it in because I'm obsessed with peanut butter, and while that is probably true, I feel like it really ties the whole bowl together! 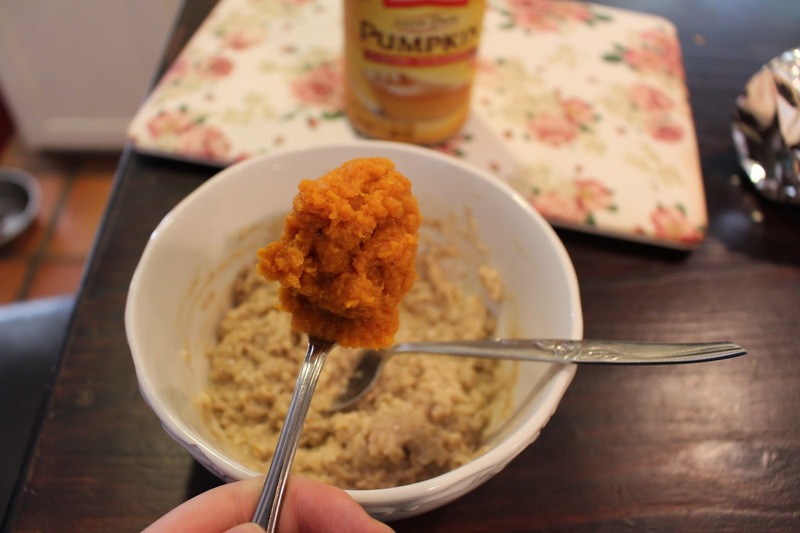 It makes the oatmeal so creamy, and it compliments the pumpkin really well. 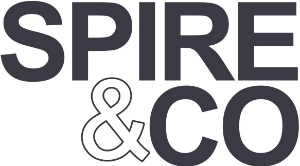 You wouldn't think the two would go together, but they make a wonderful fall duo! And this is a wonderful gluten free recipe! I have been using almond milk lately since I have a slight sensitivity to milk (I'm just not supposed to have it on an empty stomach), and I really like it! I tried it a couple of years ago and really didn't like it because of it's nutty flavor, but now that I've been eating more nuts, I don't mind it at all! I love the flavor it gives oatmeal as well. You can't have pumpkin oatmeal without the classic spices that always go into pumpkin pie! 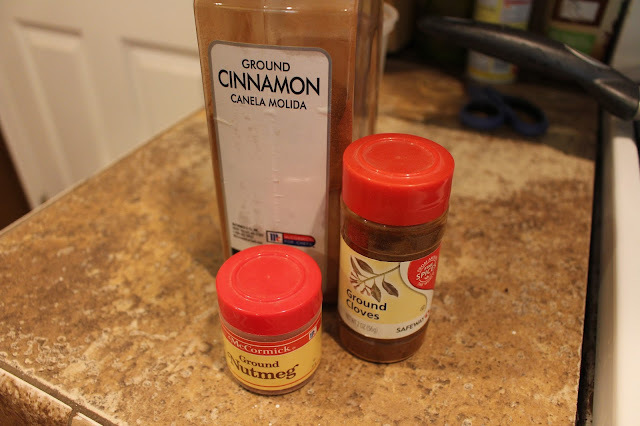 I found this really helps give the flavor more depth, and who doesn't love cinnamon in oatmeal? 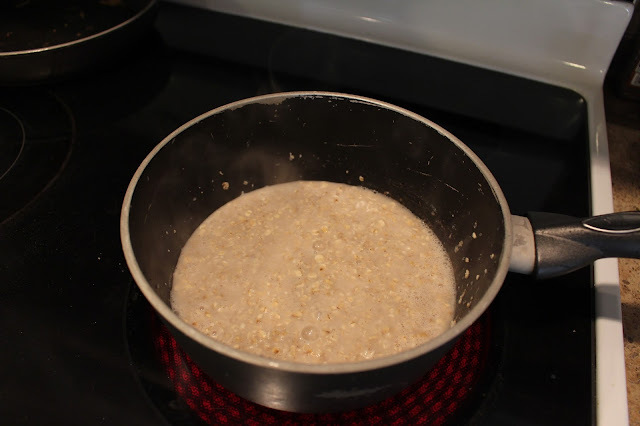 Quick oats really don't take long to make (obviously), but I find I like them best when they are super mushy. It doesn't sound the most appetizing, but I love gooey foods like undercooked cookies! Super weird of me, I know. 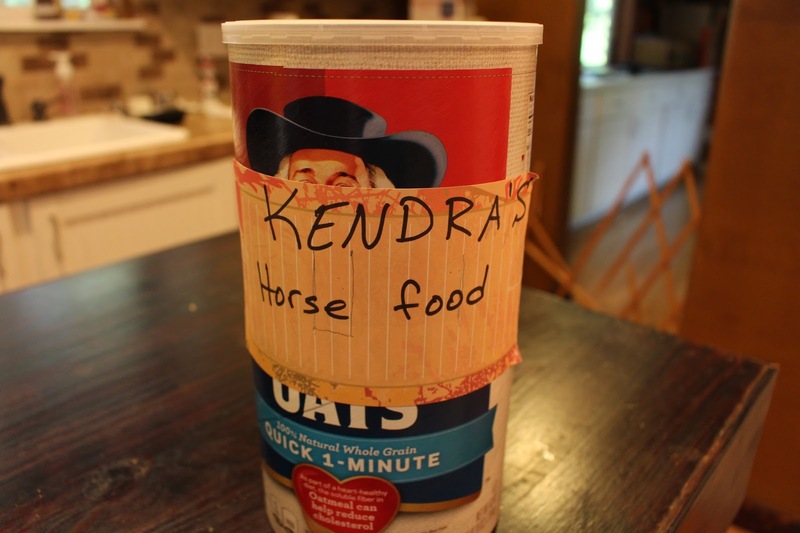 My dad thinks he's hilarious with his labels on my gluten free foods. 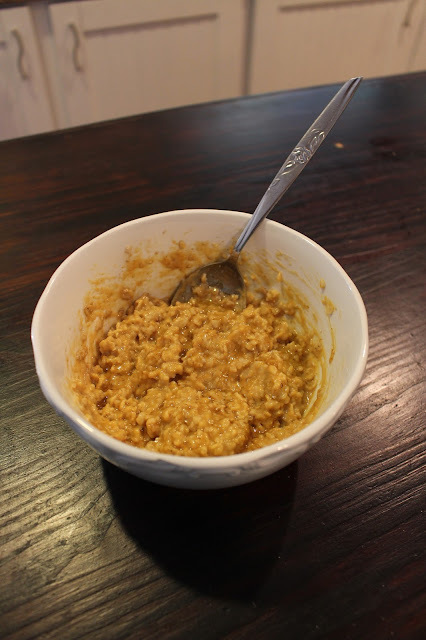 Peanut butter is the secret ingredient here that really finishes this oatmeal! 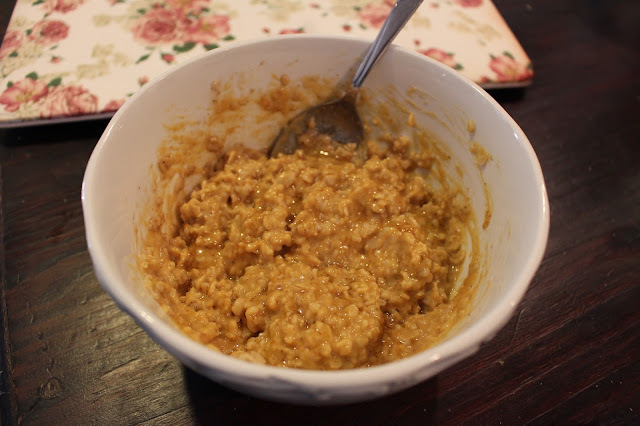 I actually always add peanut butter to my oatmeal, even if only a little bit, because I love how it makes the oats taste! I get tired of bland oatmeal really easily, so it helps to keep it flavorful. And I'm just addicted to peanut butter. Ahhhh Libby's pumpkin! 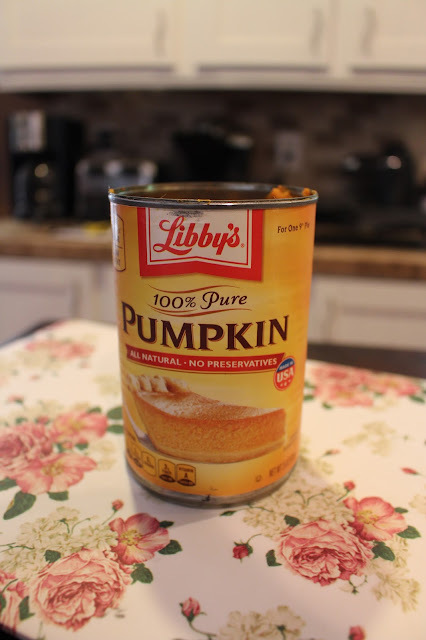 I love this stuff, and I'm so excited to be using it more and more in fall-inspired recipes! Pumpkin is also really good for you, folks. Look at that orange-y goodness. You can add in more pumpkin than this, or less! It just all depends on your own personal pumpkin pallet. This is after I added the honey, and boy is it pretty! I love using honey to make things sweeter, and to avoid sugar. 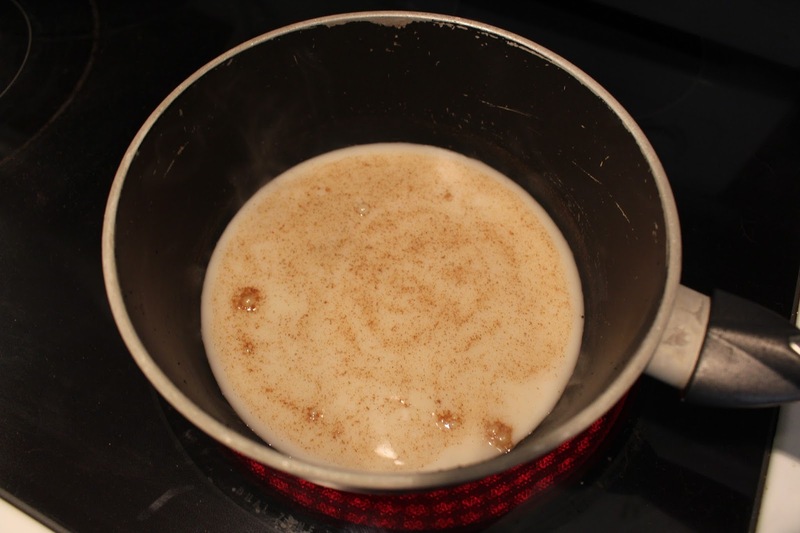 You can definitely add some brown sugar, though, to sweeten this up! It's really up to you. Well, there you have it - pumpkin oatmeal! I love the slight peanut butter flavor in this recipe, and I'm so excited to be eating this more and more in the coming fall months. I went to Michael's yesterday and they have all of their fall and halloween stuff out already - crazy, yes, but it was also fun to look at! Are you excited for fall? That looks so so good! I love oatmeal! And pumpkin pie...yumm. I need to try this! That is seriously so sad - pumpkin pie has always been my favorite around the holidays! You really should try it if you ever come over! !